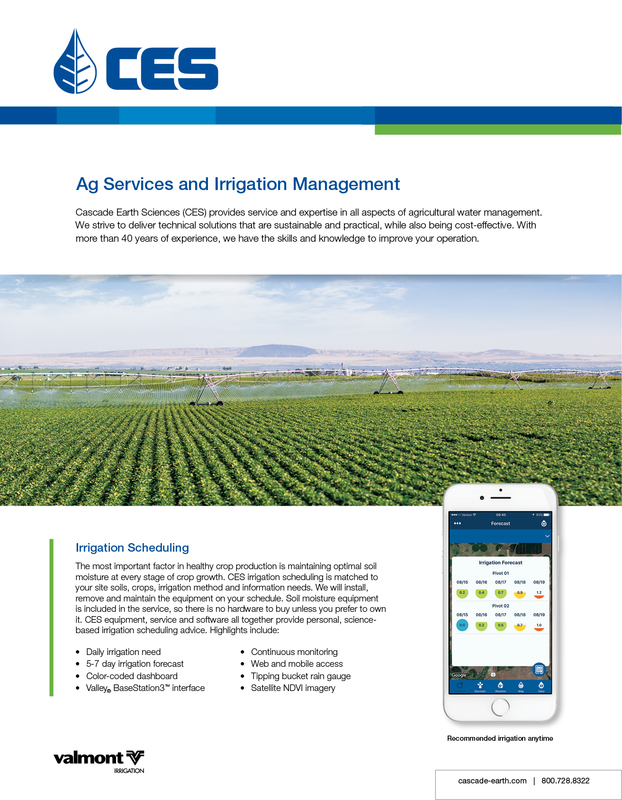 Helping growers get the most out of their irrigation equipment. Our team of registered and certified engineers, agronomists, soil scientists and hydrogeologists have completed thousands of projects solving unique water management issues. We offer complete design, permitting, planning and problem-solving services. CES brings decades of experience and the resources of Valmont® Irrigation to provide effective and efficient water solutions.